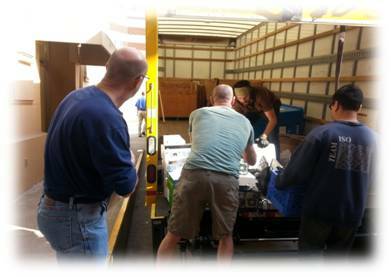 3R Technology offers FREE e-waste recycling collection events for companies and commercial properties throughout the entire Puget Sound region. E-waste collection events are a great opportunity for organizations, and all company employees, to properly recycle their electronics, whether from the office or their home. • Free – no cost to either the company, property management, or to the employees. • Convenient – employees and tenants don’t have to make a special trip after hours or on a weekend to come to us or find another recycling facility to recycle their electronics. • Environmentally Conscious – in addition to keeping hazardous electronics out of the landfill, employees or tenants don’t have to burn extra gas to drive these items to us or another recycling facility. They’re already coming to work or their building anyway. Your employees or tenants can bring in e-waste the day of the event, or for several days before (if you have a location to store the material), and we collect it, haul it away, and recycle it for free. We can park our truck onsite for a specified time period (typically 1-2 hours), and employees or tenants can bring material directly to our truck. Are you Interested in having Hard Drive Shredding as part of your event?